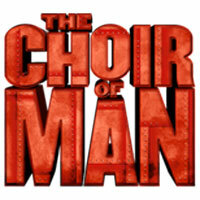 Broadway In Chicago announced tickets to THE CHOIR OF MAN will go on sale on Thursday, January 10. THE CHOIR OF MAN will play Broadway In Chicago's Broadway Playhouse at Water Tower Place for a limited one-week engagement March 12-17, 2019. The runaway hit of numerous international music festivals is hitting the road for its first U.S. tour. Known across the globe as "the ultimate-feel good show," THE CHOIR OF MAN offers 90 minutes of indisputable joy. It's a party. It's a concert. It's a pint-filled good time set in a real working pub that combines hair-raising harmonies, high-energy dance, and live percussion with foot-stomping choreography. The multi-talented cast of nine handsome men sings everything - pub tunes, folk, Broadway and classic rock. It's the best singing, dancing, stomping, pub crawl of a show you'll ever attend! THE CHOIR OF MAN is the latest show from the creative minds of producers Nic Doodson and Andrew Kay - the team behind Soweto Gospel Choir, The Magnets, and the award-winning North by Northwest.